The Plague is coming... and I don't mean cold and flu season here in the northern hemisphere. The Warpath Kickstarter keeps on chugging along at a pretty steady pace. Backers are pushing the campaign closer and closer to 10x funded. As such, the Plague is soon to be unlocked. 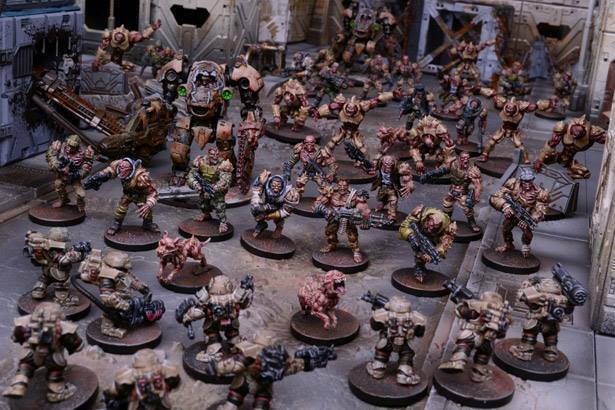 The Plague is the 4th faction for Warpath. They spread as an alien mutagen, often found within strange, alien artifacts. The various "generations" of infected have different capabilities and perform different functions within the command structure of the Plague. 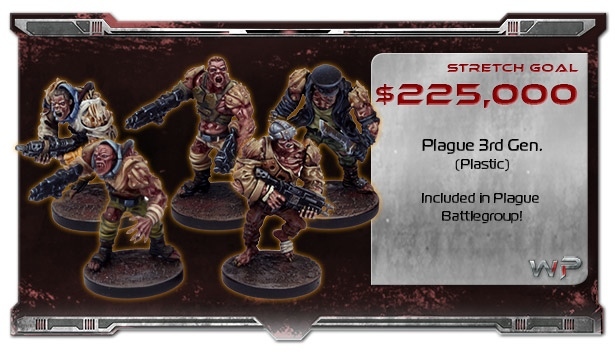 If Mantic makes it to $225k, they will create hard plastic sprues so you can make your own Generation 3 Plague minis. This will also open up the Plague Battlegroup add-on. The Battlegroup will have a Plague Teraton, Plague 1st Gen, six 2nd Gens, and 40 plastic Zombies. There's still 17 days left in the campaign to get in on the action.